Can New Zealand Keep Mexico From The World Cup? With drug cartels wreaking havoc and the dictatorial PRI back in power, it’s safe to say the people of Mexico are in crisis mode. And if bloodshed, corruption and privatization weren’t enough, for the first time since 1990 the national team may be out of the World Cup. To secure their 2014 World Cup berth in Brazil, Mexico will have to play a two-leg playoff against Oceania champion New Zealand, beginning today with a 2:30 match at the legendary Estadio Azteca. Mexico’s lucky they even have this final shot at Brazil 2014. Had Team USA not scored two goals in stoppage time against Panama in October, the Mexican squad would be watching the excitement from the stands next year — or their living rooms. It’s been a strange turn of events for a team once considered “El Gigante de CONCACAF,” the same team that took home the gold medal in London last year and won the Gold Cup against Team USA in 2011. There was a time — like last year — when any team playing against El Tri at Estadio Azteca could expect to lose. But given the events of the last few months, it’s hard to know what to expect today. Mexico will be led by former Club América manager Miguel Herrera, the team’s fourth manager in five qualifying matches. Herrera led América to its 11th Mexican league, but stepping in just over a month ago leaves him little time to assess where the team’s at and make necessary adjustments. This leaves a ton of pressure on lead striker Oribe Peralta, who’s scored in five of the last six matches for Mexico. “In the only game he didn’t score, the side got shut out,” according to the Bleacher Report. While Mexico’s expected to get past this last obstacle to the World Cup, let’s not forget they’re facing a team that’s been in this situation before. During the qualifying rounds leading up to the last World Cup in South Africa, New Zealand secured a draw in Bahrain and beat them 1-0 at home to advance. Facing Mexico in Estadio Azteca to advance to the World Cup is probably the toughest match in the Kiwis’ history, doubly hard considering they’ll be without their lead striker, who’s out with an ankle injury. And a few other guys on the front line are pretty banged up, too. But as I said, this isn’t the dominant Mexican squad most fans have become accustomed to, and Estadio Azteca may not intimidate the visiting team as much as it might have a year ago. Jamaica and Team USA were able to draw against El Tri at Azteca earlier this year, and Mexico suffered a rare loss at the stadium against Honduras in September. 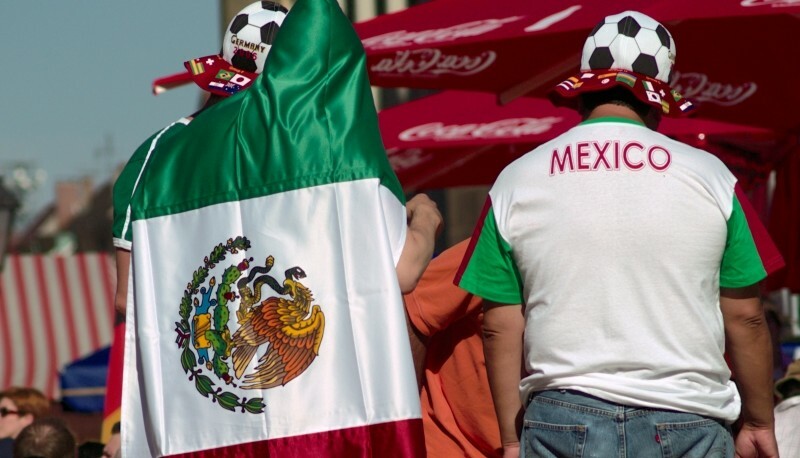 If I were a betting man — and I’m not — I’d put my money on Mexico going to the World Cup. But in a sport as minute-to-minute, where a nation’s hopes and dreams can rise or fall with a single blast from a player’s foot, you never know what could happen. Will Mexico be on the heartbreaking end of one of the biggest upsets in soccer history? Will New Zealand be the Cinderella story of Brazil 2014? But soccer fans around the world will definitely be watching.